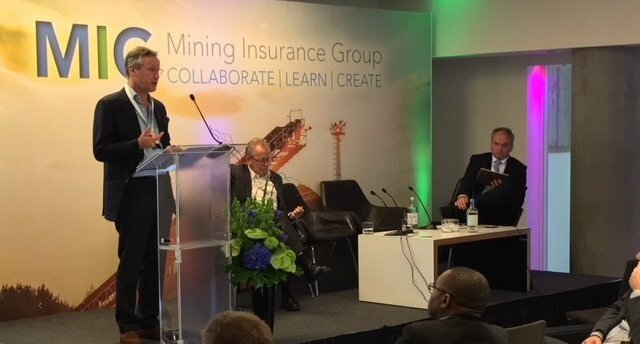 Iain Pickard and Tim Watts presented to 120+ risk managers, insurance brokers, underwriters and loss adjusters at the Inaugural Mining Insurance Group inaugural forum on the rapidly emerging cyber threat to the industry. Tim is a former British Army Signal Officer in Chief and keeps close links with the UK Govt agencies – so knows his subject. The rapid digitisation of the industry is key to its future success, but is exposing new vulnerabilities at the same time. In particular, the growing reliance on Industrial Control Systems (ICS) is increasing the industry’s exposure to Denial of Service and Ransom attack. As we always do at Strategia, we emphasised the need for an integrated approach; it’s too important to be left to the ‘techies’ alone! An effective response needs to be many layered – starting, above all, with a good governance, risk management and a controls regime that is ‘owned’ at Board level. Online polling showed clearly that the audience felt they had a better understanding of the issues after our presentation than they did before – and that it was a threat that needed to be taken very seriously indeed.